THIS A WEB OPENING ! 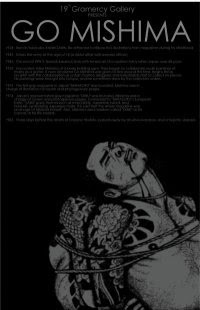 ON JUNE 1ST LOG ONTO www.gramercygallery.net to see the presentation of 20 pc illustrations of GO MISHIMA. You don't have to be physically in NEW YORK.